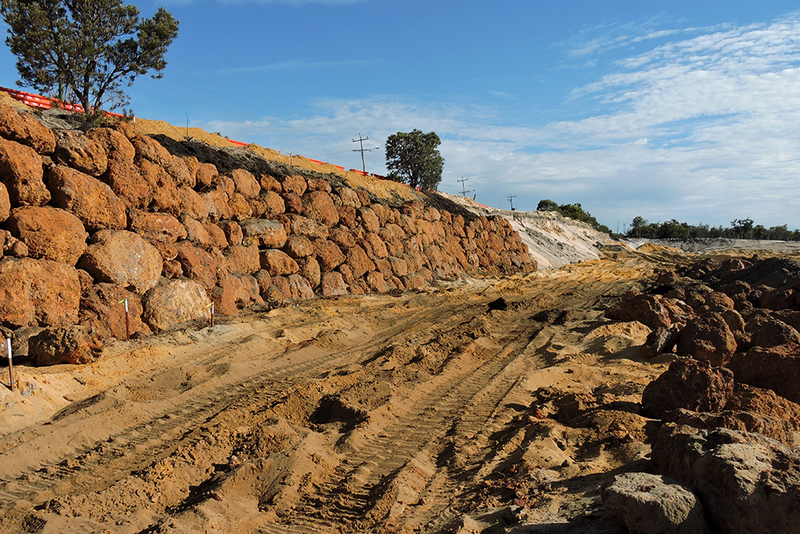 Leeuwin Civil were selected to construct Stages 1 and 2 of works to construct retaining walls at Honeywood Estate in Wandi. 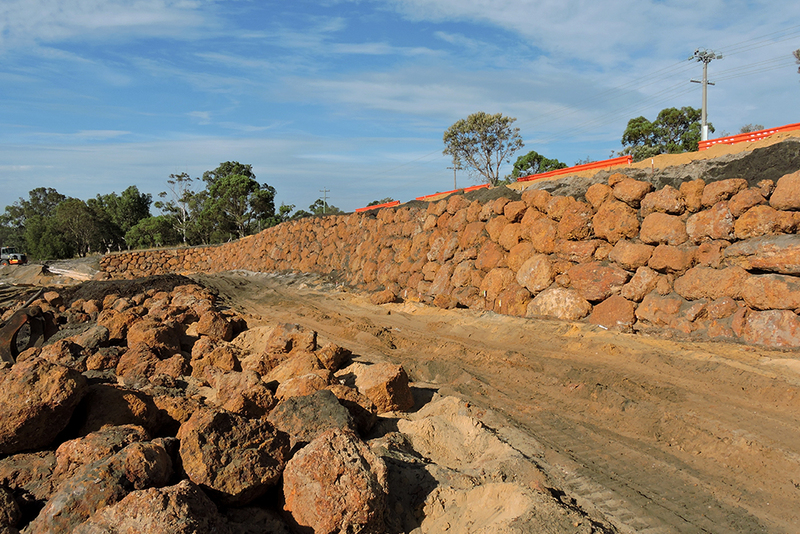 Stage 1 works involved the initial earthworks and survey set out, followed by the supply and haulage of 6,000 tonnes of ironstone rock to a 6 metre high wall consisting of 2,500m2 of rock. 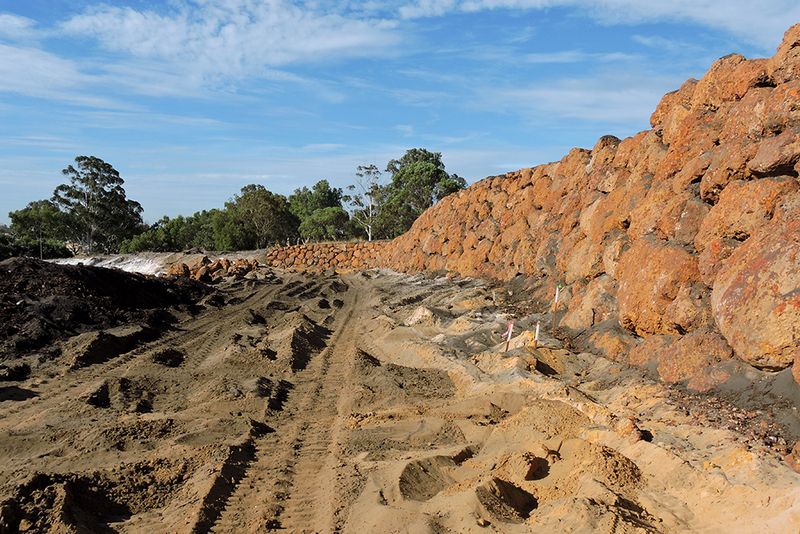 Stage 2 involved approximately 3,000 tonnes of rock to construct a 7 metre high wall. 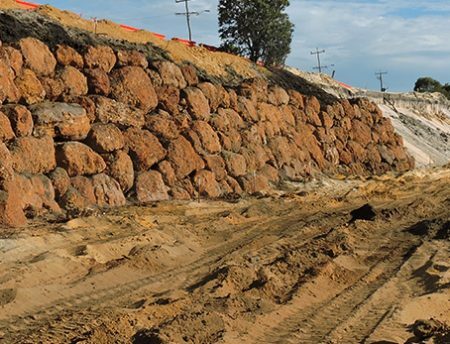 The project required a high degree of skill from the operators to ensure the angle of repose of the wall was to specified requirements. 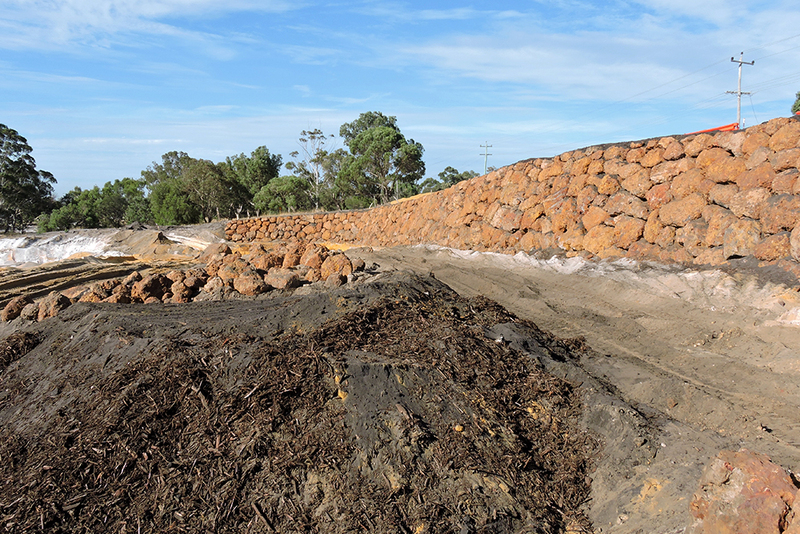 More than half a kilometre of walls were constructed in total. 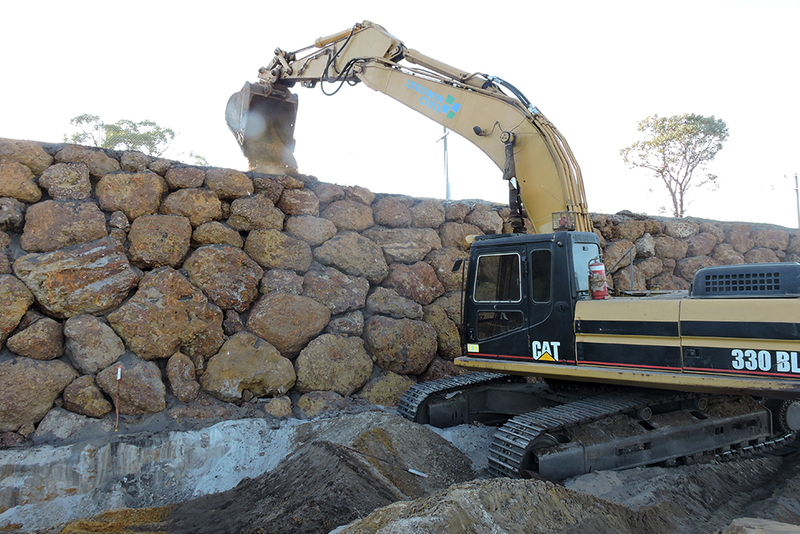 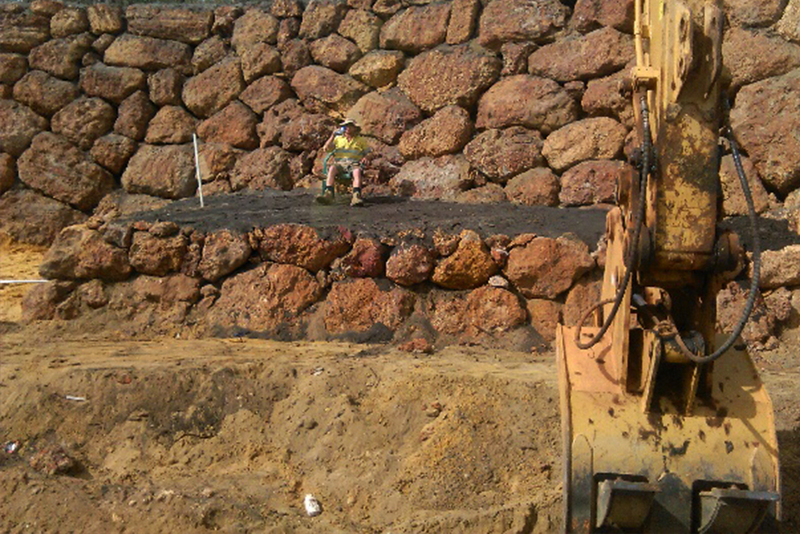 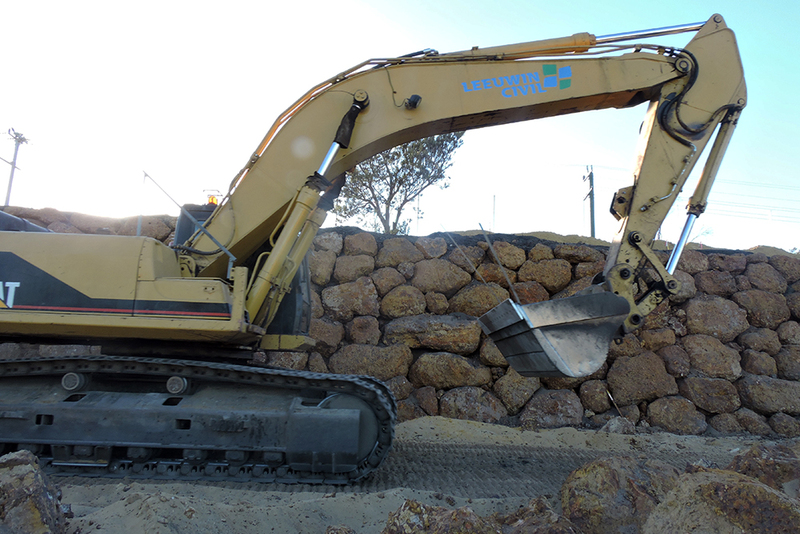 retaining wall construction using excavators and grabs.